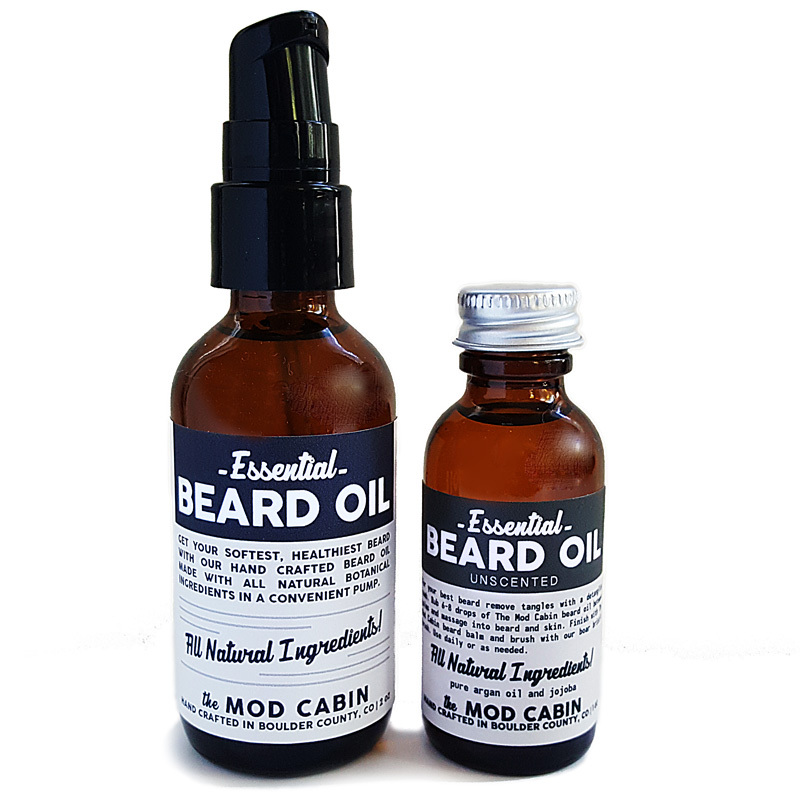 Beard Oil Tester Vials | The Mod Cabin Grooming Co.
Having trouble choosing just one beard oil? 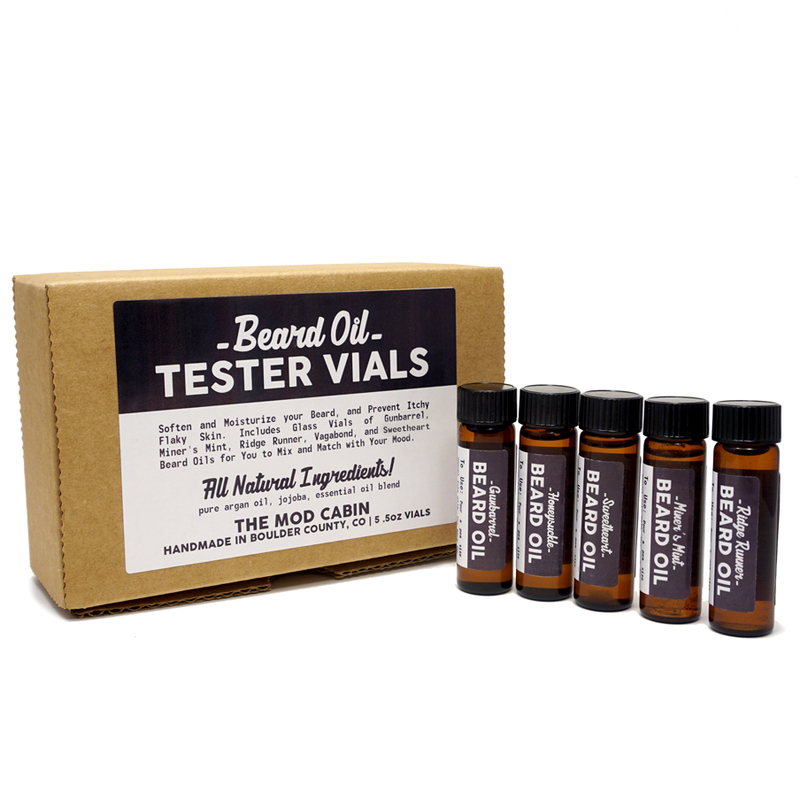 Then our beard oil sample pack is for you! 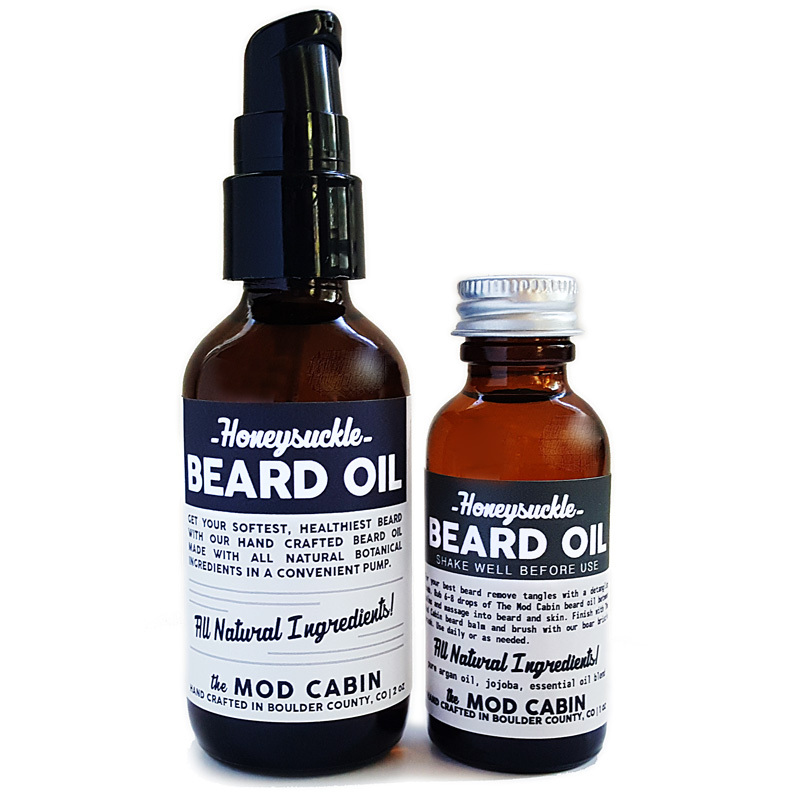 Get a generous .5 oz vial of five of our best selling, all natural, superbly scented beard oils, including Gunbarrel, Miner’s Mint, Ridge Runner, Honeysuckle, and Sweetheart to mix and match with your mood or the season! 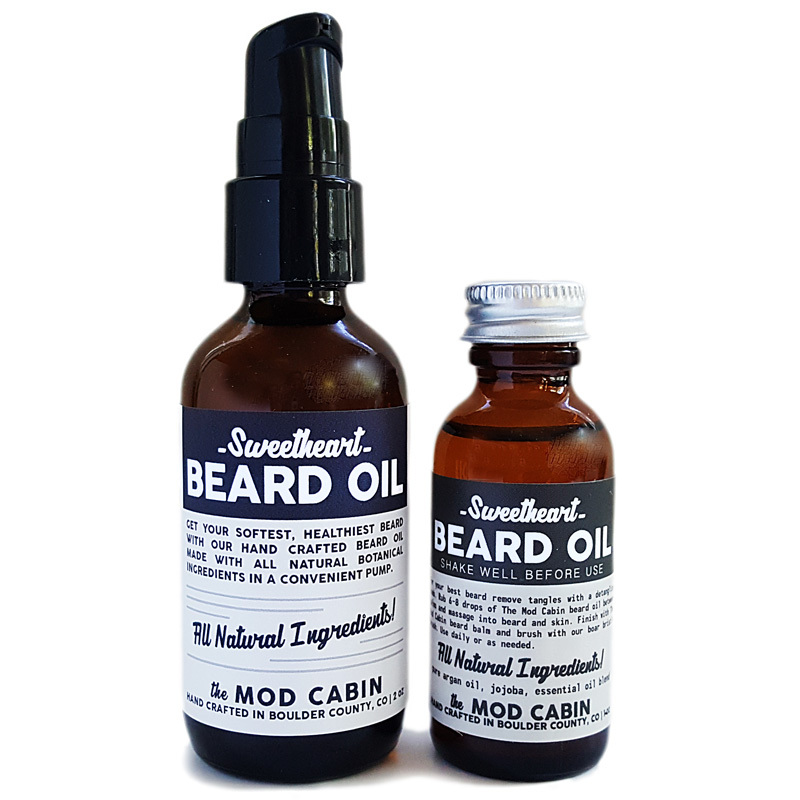 Jojoba and argan soften and moisturize your beard and help make your beard more manageable, while moisturizing the skin beneath your beard to prevent and repair itchy, flakey skin, so you can grow a thick, healthy, head turning beard! Argan and jojoba deeply penetrate and moisturize hair follicles, preventing breakage and allowing your beard to grow long and healthy. Scented with all natural essential oils. No synthetic fragrance oils. Directions: Detangle beard with a comb. 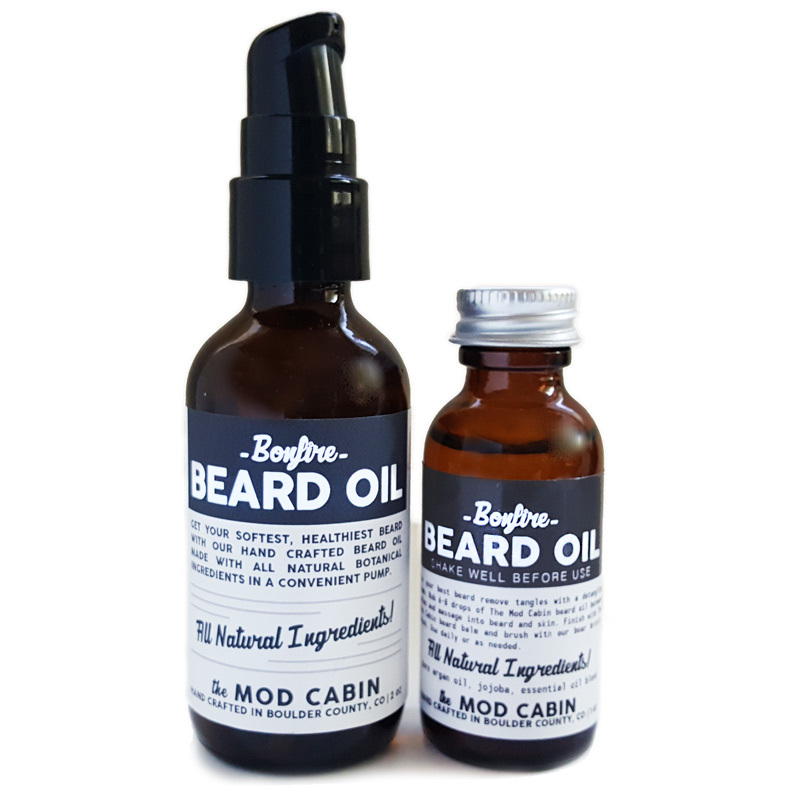 Pour beard oil in palm. 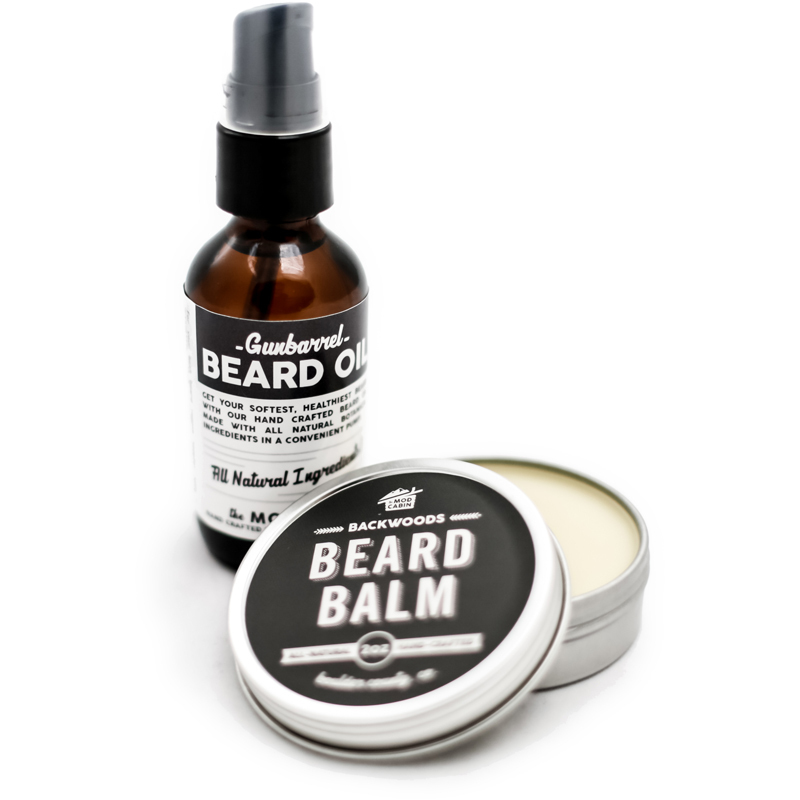 Start with a pea sized amount, use more for longer, thicker beards. Rub between palms and massage into beard and skin. 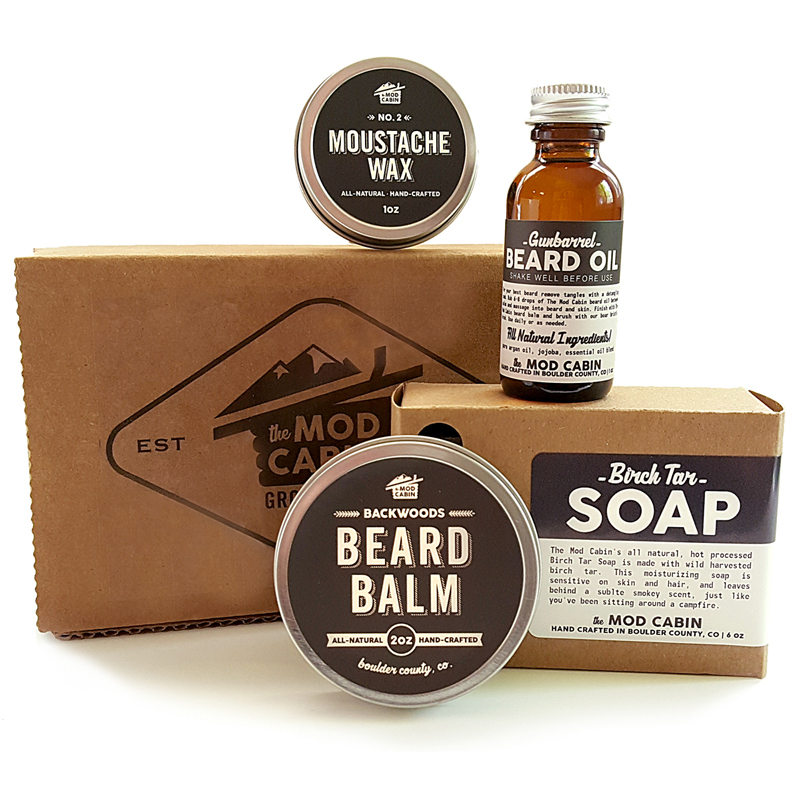 Finish with The Mod Cabin beard balm and brush with our boar bristle brush to evenly distribute oils throughout beard and to exfoliate the skin beneath beard. Use daily and reapply as needed.